Passes can only be used by landowners of record, meaning the person(s) actually listed on the title of the property. They are not transferrable in any way, including family, friends, or contractors. Our most recent Proposition 218 that passed allows for all landownders on Bradford to ride the ferry for FREE. Ferry hangers have arrived. They are available by personal pickup or via mail. Please call Angelia at (925) 209-5480 or email angelia_bradford@sbcglobal.net and advise on how your would like to arrange to get your hanger. The District historically has never issued hangers and this will be the District’s first attempt at doing this. 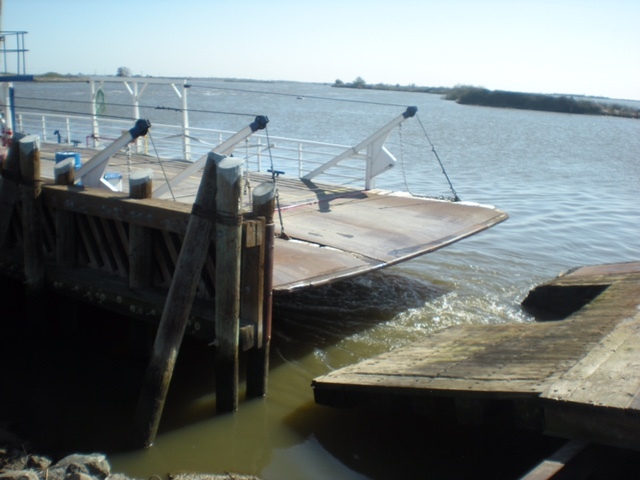 The Board will be putting together the rules and regulations for the ferry hangers. Once the Board has finalized the rules and regulations, we will mail them, email them and post on the website. The rule that you get a hanger for every person listed on your Grant Deed. You may transfer the hanger to another vehicle, however, you must be in that vehicle. 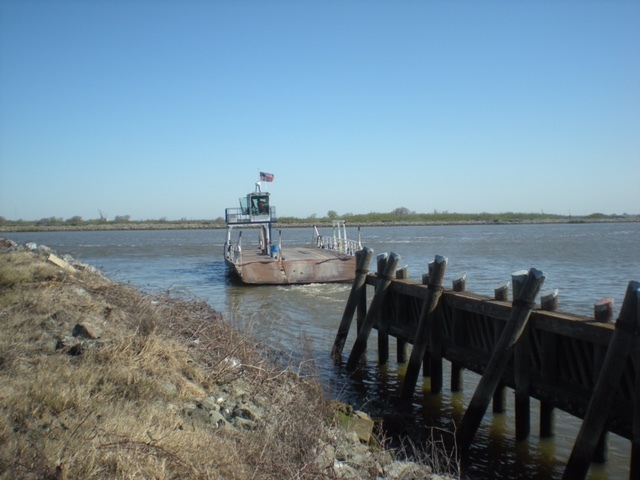 The Board of Directors approved cost-free ferry passage for District landowners, with issuance of a placard for all owners of record. This is to ensure that the cost-free ferry benefit is only utilized by those individuals who actually own land and pay the District’s assessments (which fund the Ferry). If your spouse or family member is listed as a joint tenant, tenant in common, or the tenancy is by the “entirety” or the property is specifically listed as “community property,” then your spouse is automatically entitled to a ferry pass at this time. Relatives, friends, contractors, or other persons related to/invited to the island by landowners, but who are not landowners of record are not entitled to a pass. Passes are not transferable. The Board will be discussing an issuance and enforcement policy, including requests for passes for spouses/registered domestic partners at the next meeting, to be held October 6. You are welcome to attend to voice your concerns, or if you prefer, e-mail and I will be happy to share your views with the Board at the meeting. $7.75 ticket is good for one full round trip. 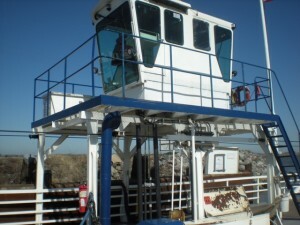 The Victory II is a free-running (no cable) ferry that takes vehicles from Jersey Island to both Webb Tract and Bradford Island. Bradford Reclamation District 2059 shares joint powers of the Ferry with Webb Tract. Bradford and Webb Tract split all operating costs 50/50. 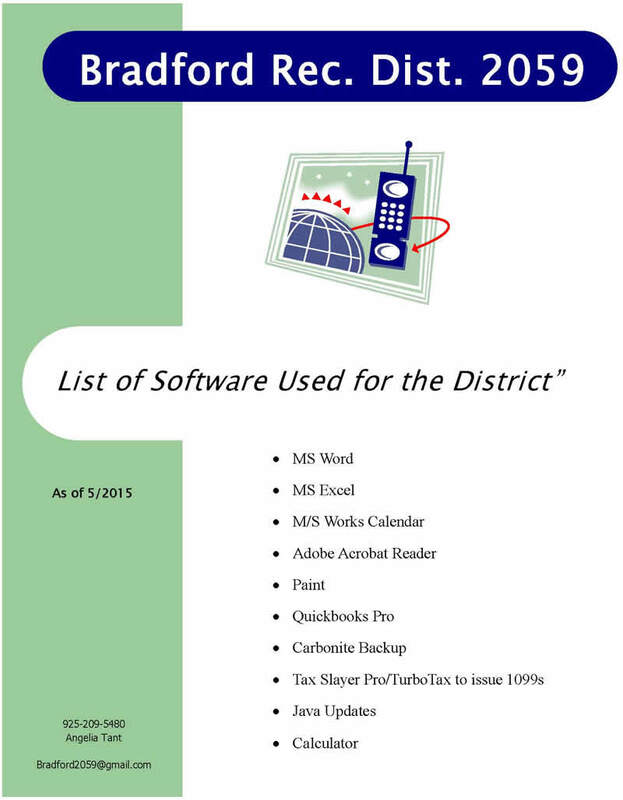 The Districts portion of the monthly assessment is $9,000 per month totaling $108,000per year. The District is also required to pay 1/2 the cost of any repair bills associated with the ferry. 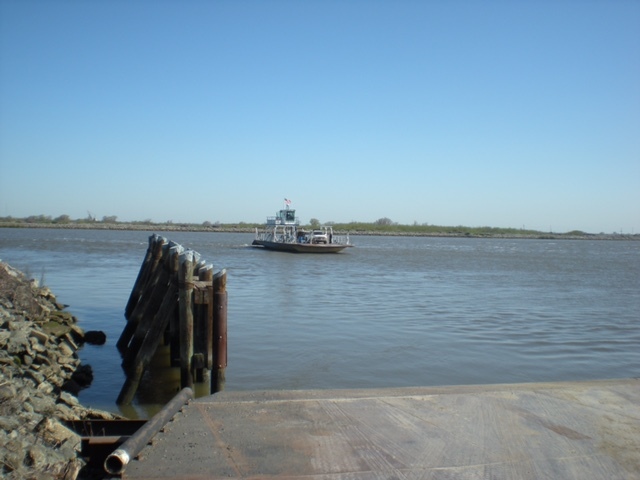 The District pays 1/2 of the required dry dock repairs in which is mandated to be conducted every five years. 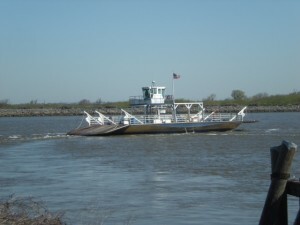 The District’s Ferry Representative Trustee Robert Davies attends Delta Ferry Authority Meetings on a regular basis. The alternate person appointed to attend meetings in the event that Trustee Davies is not able to us Levee Superintendent Smith Cunningham. The District does not handle the operations of the ferry or its operating schedule and changes. Please refer back to the default page for information on how to contact the DFA directly. 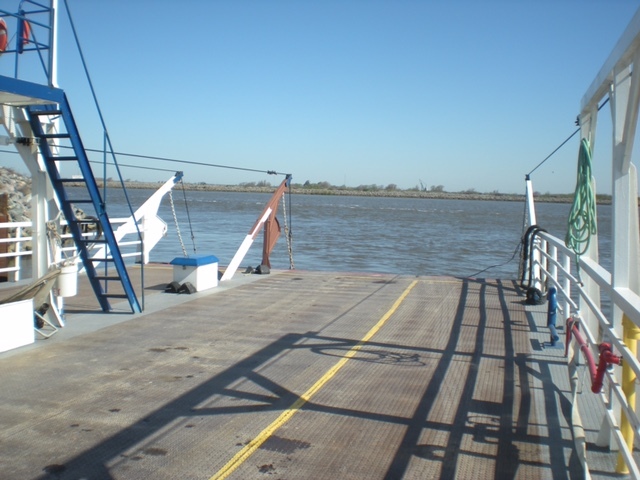 Ferry tickets are available for purchase at the Valero – Gas and Save on Cypress. Large books of tickets may be purchased with the District Manager of Bradford by calling 925-209-5480. 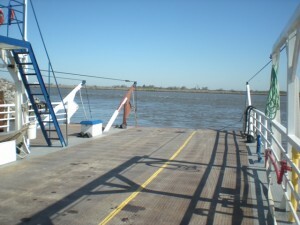 After-hours ferry service is defined as any morning, evening or off-day service not included in the regular schedule of the ferry. After-hours ferry service should be scheduled in advance whenever possible and the executed Authorization Form or facsimile posted on the ferry 24 hours in advance. Special after-hours ferry service can be accommodated with approval of the two directors and availability of the ferry captain/crew. After-hours ferry service payments should be made payable to the Delta Ferry Authority and submitted to: ZKS Real Estate, Attention Carlos Via, 1660 Olympic Boulevard, Suite 350, Walnut Creek, CA 94596. Payment should be made in advance. 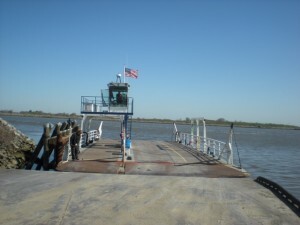 Under no circumstances are payments to be made to the ferry captain or other employees of the Delta Ferry Authority. Frequent ferry users may establish an account. Advance payments are refundable if after-hours service is canceled within 24 hours of scheduled service. After-hours usage will be billed in one-hour increments. Off-day usage will be billed in one-hour increments with a four-hour minimum. Special after-hours service will be billed in accordance with agreed upon increments. 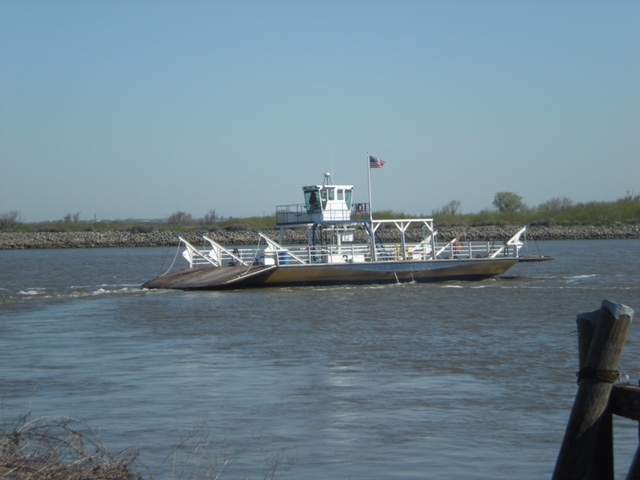 The after-hours ferry service billing rate is $100 per hour for Bradford Island and Webb Tract residents/landowners and $150 per hour for non-residents/non-landowners, but may be reviewed and adjusted from time to time.